Another great week of blog posts and community information. So much good stuff. 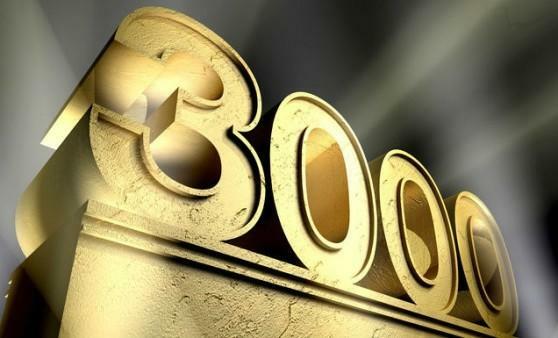 We also hit a little milestone of having 3000 subscribers. As Luce said in a tweet: "Thanks to all of you for being part of something we really love putting together for you." Luce Carter, Geoffrey Huntley and I thank you for your support. Enjoy the links and have a great weekend. A picture is worth a thousand words, and we are definitely starting to see more and more illustrations making their way into mobile designs. Check out some great ways you can incorporate them effectively. Make sure you are creating the best mobile input forms you can. Here are some great design principles to set you straight. The mobile landscape is continuously evolving and bringing forth new opportunities for mobile users. In his 2h-long presentation, Luke Wroblewski walks us through not only some market fundamentals and statistics but also how to find the core values of your app and to increase sign-up conversions and make app-onboarding more convenient. Luis Pujols just released the Google Client Plugin, it makes the process of authenticating a user across Xamarin Forms, Xamarin.Android and Xamarin.iOS with Google Sign In easier. This video contains a dive into Xamarin.Android and what happens when it starts up on your device. Where do you go to set all those properties in your info.plist file that aren't displayed in the default editor? Jim Bennett shows a nice little trick on how to get to them. David Britch continues his series on binding a collection to the new Flex Layout. Previously, he explained how to extend the ExtendedFlexLayout class so that it allows a DataTemplateSelector to choose a DataTemplate at runtime. This time he covers adding CollectionChanged support. Does your app need to constantly check it’s internet connectivity? Do you want to inform your user that he/she is disconnected from the net? Devlin shows you how you can do this. When you think of MongoDB, the NoSQL database that provides an agile development experience typically associated with NodeJS development, do you think of Xamarin? Up until a couple weeks ago, my answer was no. Turns out though we can add MongoDB to the ever growing list of database platform choices when building Xamarin apps! Xamarin Essentials is a great recent initiative from the Xamarin team to provide an endorsed, comprehensive cross-platform set of APIs in a single package. One interesting aspect of the library is the lack of interfaces; all APIs provided by Essentials are exposed through static methods, members and events. This is a deliberate design decision - there are size, performance, simplicity and maintenance considerations that the team made for this - but if you use dependency injection you'll probably want some interfaces. In this blog post, Ryan Davis shows you how to go about it. We have all had those horrible situations where you get a wacky debugging scenario or error deploying to devices. In this post Doumer presents some of his most common nightmares and work arounds / solutions. The HttpClient class is used to send and receive requests to an HTTP endpoint. In this article, Camilo Reyes describes how to work with the class and how to avoid common pitfalls and issue. Daniel Hindrikes is using Machine Learning and custom vision to train models to recognize mushrooms. He then talks about how to incorporate this in iOS using CoreML and on Android TensorFlow. Welcome to .NET "Presentations in a Box." We have a listing of workshops and presentations YOU can use AND contribute to! Remix and share, and present at Meetups, User Groups, CodeCamps, or Conferences! Hopefully we will get some Xamarin content up there soon. Daniel Hindrikes shares a neato little analytics library. TinyInsightshas support for multiple service providers., which makes it possible to track data to multiple destinations with one common call. Right now TinyInsights has providers for AppCenter and Google Analytics. Houssem Dellai has a video which walks through the process of creating a CI-CD pipeline for Xamarin App app using VSTS. Thanks so much to all our subscribers for allowing us to share all the great community blogs and posts with you! We are now over 3000 strong.